We can’t do it without you! Our vets bills alone total on average £7500/month. You can donate safely online by clicking on the “˜Pay via MyDonate’ button. This will take you to our secure MyDonate page. All of your donation will go to the charity. Prefer to pay via PayPal? Please use the PayPal button; however, PayPal deducts a 1.4% charge from your donation to us. As a small independent charity any gifts in Wills (or legacies) we receive have a big impact on our work in Yorkshire. Our monthly running costs average nearly £10,000 – at least two-thirds being veterinary and medication costs – which we have to fundraise ourselves. So you can understand how especially grateful we are when a caring animal lover goes on supporting our work by leaving a legacy. One of the best and most efficient ways for you to help us is to donate regularly from your bank account. Unlike Direct Debit, a standing order involves no cost to the charity and you remain in control of the payment. 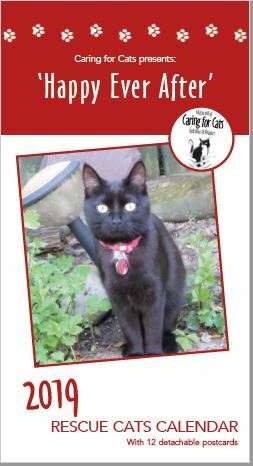 Download a PDF Standing Order Mandate below, or to request a hard copy email us at contact@caring4cats.org, including your full name, address, and a contact telephone number. You can also call us on 01430 872612, Tuesday – Sunday 11-5pm, we will then post you the form for you to fill in and send to your bank. The animals receive 100% of your donation. Payroll giving, or Give As You Earn, is a cost effective way for individuals paid through PAYE to give to charity. Donations are deducted before tax so each £1.00 you give as a basic rate tax payer will only cost you 80p, ie a donation of £10 per month costs £8 (the taxman pays the rest). Higher rate tax payers see significant benefits as it will only cost 60p or 50p per £1.00. In fact, this method is the only way to pass on your 40% or 50% tax to charities. Only 28% can be recouped via other ways of giving. Employers must have a scheme in place with an approved payroll giving agency. Donors simply fill in a joining form, choosing the amount and which charity. This gives the company the authority to make a deduction from your pay each month/week and tells the agency which charity the donation is to go to. Ask your payroll dept if they already run a scheme, or visit the HMRC site to find out more. You can support the charity by sponsoring a longterm foster cat or a cat pen at our Homing Centre. Sponsor as a gift, In Memoriam or simply as a more personal way of giving. Pen sponsorships also work to publicise local businesses. Minimum donations are suggested below. Click on the links below to find out more about this more targeted way of supporting our work. Cheques should be made payable to ‘Caring For Cats Yorkshire & Humber’ and posted to the following address. Please ensure your donation is accompanied by your name, address, and a contact telephone number, and optionally also the reason for the donation. Cash can be donated by visiting our homing centre in Market Weighton or shop in Beverley, or at any of our events. Please do not send any cash by post. With your credit/debit card please call our Homing Centre on 01430 872612, Tuesday – Sunday 11-5pm. Please don’t forget that you can give us a verbal Gift Aid declaration when you donate over the phone, and can increase the value of your gift to us by up to 25p for every £1 you give. However, we are charged a 2% transaction fee by your bank for card donations this way. You can now make donations of up to £10 by texting CATS23 and either £1, 2, 3, 4, 5 or 10 to 70070 eg CATS23 £10. The text message is free and all of the donation will be passed to us. If you are a UK tax payer, please ask us about Gift Aid which enables us to reclaim your tax (at basic rate, on the amount of your donation) from the Inland Revenue. Thank you on behalf of all the cats and kittens your donation will help.